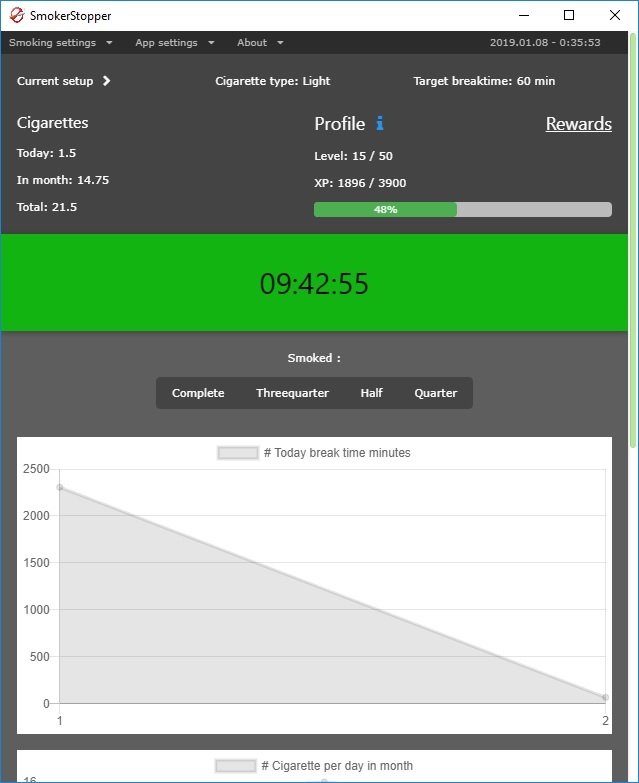 Simple cross-platform app for tracking your smoking time habits and help to quit. I made it myself, so not too rich in functions/futures, but i thinked maybe can help other(s) too if i publish it. This app help you tracking your smoking habits and reduce the dose greatly and prepare you to the "freedom day" (quitting). How? The app is a game pack in the game also. If you fulfill the setted breaktime, you got expirence points (xp) and levelup like an RPG game. 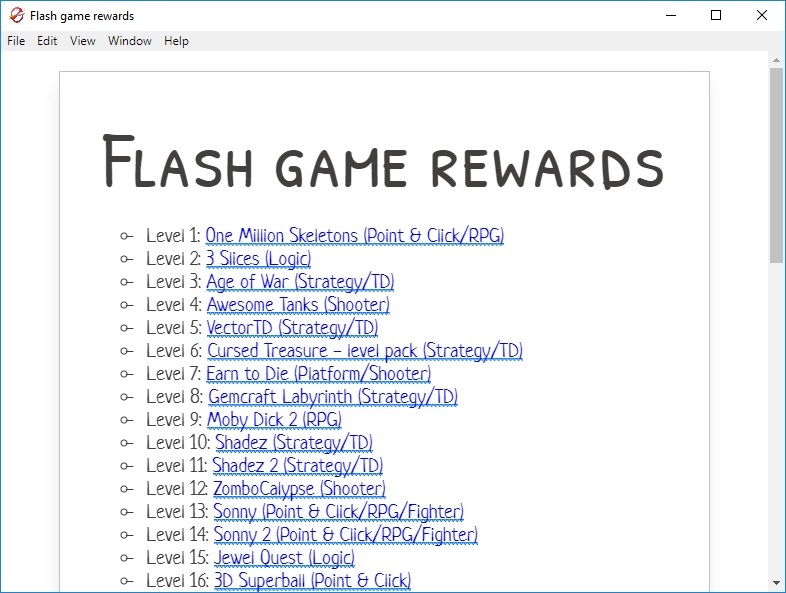 In the &apos;Rewards&apos; menu open 1 flash game for each earned level. The max level is 50. When you overfulfill the time got bonus xp, but if you underperforming then you lose xp. The lowered dose makes easier for you the finaly free from the smoking. The day when you left over the smoking is the freedom day. If you fall back more the 1-2 cigarette per day, you can restart the procedure with your lower dose. Use the "Reset profile" menu. You can delete game saves also with the "Reset games" menu button. Packaged zips not requires installion, just unzip and run the executeable file.